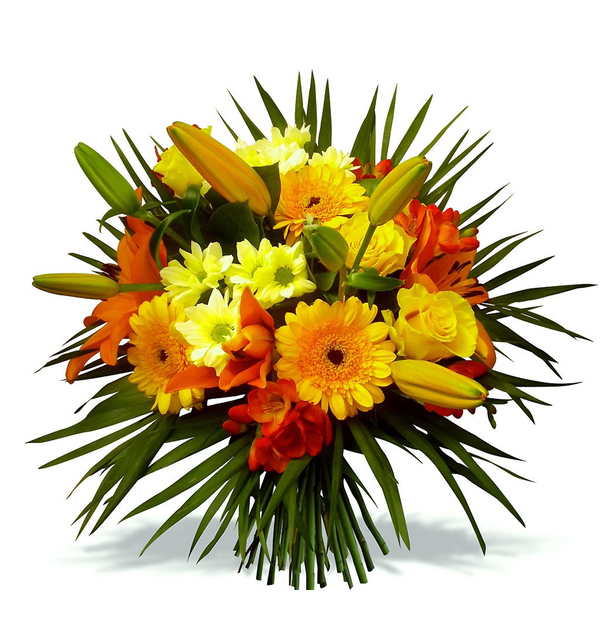 A bright bouquet of yellow and orange flowers brings the sun in every house. A wishcard with your own personal message makes the gift complete. We deliver this gift in the Benelux countries.